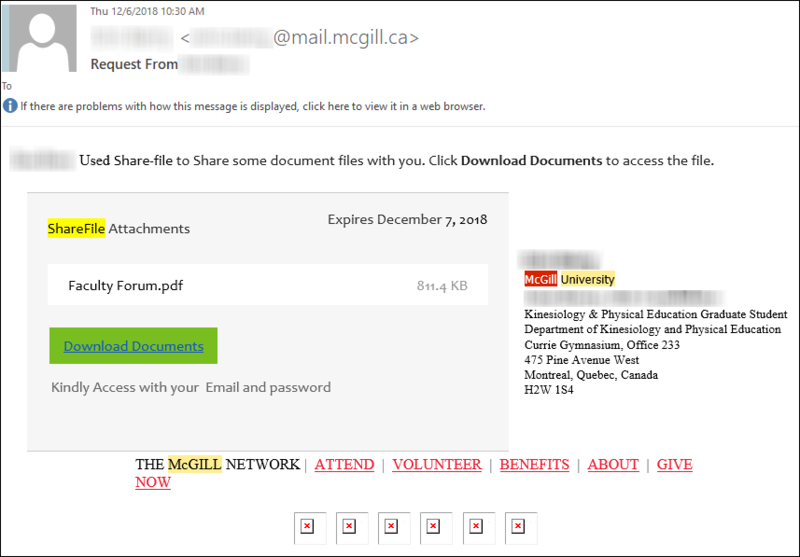 Beware of emails circulating related to file sharing systems asking you to access a document shared by a McGill person, who may even be one of your contacts. The latest one reported references "Share-file" and contains the subject "Request from xxxxxx", and contains a link to "Download Documents". It looks very convincing, with a valid-looking McGill signature.